French President Emmanuel Macron on Monday vowed to rebuild Notre-Dame Cathedral in Paris, after a colossal fire caused the spire of the historic edifice to crash to the ground and wiped out centuries of heritage. Macron expressed relief that “the worst had been avoided” in a fire that risked bringing the entire edifice down and left France in shock over the damage to a building described as the soul of the nation. French prosecutors said it was being treated as an “involuntary” fire, indicating that foul play was ruled out for now. 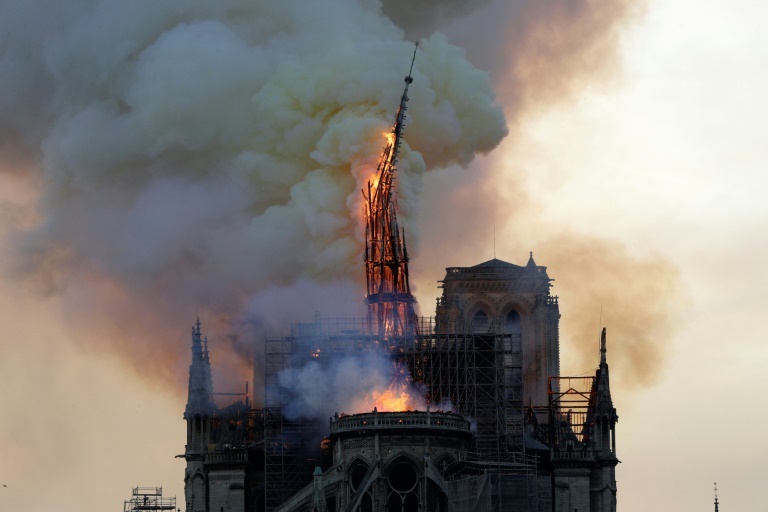 “And we will rebuild Notre-Dame because it is what the French expect,” he said, describing Notre Dame as “the epicentre of our life” and the cathedral of “all the French”, whether religious or not. Next articleI’m extremely curious about what is so funny.